President Klaus Iohannis has stated that through the Presidency of the Council of the European Union Romania’s main goal at the helm of the EU Council is the consolidation of a more cohesive, more united and stronger Europe. “12 years since the accession to the European Union, Romania takes over a forefront role on a European level (…) We are taking over the exercise of the presidency of the Council of the European Union, with the main objective of contributing to the consolidation of a more cohesive, more united and stronger Europe,” Presiden Iohannis told the speech delivered to the official ceremony opening Romania’s Presidency at the Council of the European Union. The Romanian head of state pointed out that the first semester of the year 2019 will be defining for the future dynamics of the EU, arguing that the EU is currently facing various challenges, such as the Brexit, migration and security and mentioning that Romania has the mission to promote EU’s common agenda. “We all know that exercising a presidency is a mission of high responsibility, entailing at the same time commitment and pragmatism to be able to respond of a concrete, proper and realistic manner to all challenges. 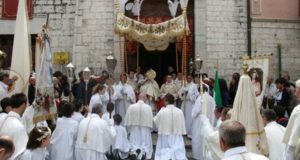 More unity and cohesion – this is the path we propose for the next six months and which we will all have to consistently follow,” Iohannis said, emphasizing that more cohesion is needed on EU level. “Cohesion is, in our vision, an essential aspect for ensuring the progress of the European project,” Klaus Iohannis argued. He voiced trust that meetings such as the Sibiu Summit will provide new prospects for Europe. “I am voicing my hope that 9 May 2019 will remain in the history of the European project as a moment of reaffirming the narrative of a strong and united Union. (…) We plan on managing together during these months to consolidate the unity and cohesion, in a moment with tests and important stakes for our Union, our European Union, of all of us,” Iohannis concluded. 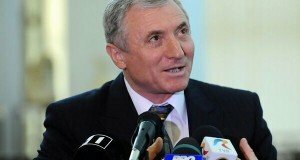 Prime Minister Viorica Dancila said, on Thursday, that Romania will lead the Council of the EU with dignity. “Today, Romanians are glad we are holding the Presidency of the Council of the EU, they take their deserved place in Europe, the place where they should receive the same respect, the same rights and the same benefits that are enjoyed by the European citizens. With this in mind, I will represent my country and my fellow citizens in the next six months. Romania will lead the Council of the EU with dignity,” the PM told the ceremony on the inauguration of the Romanian Presidency at the Council of the European Union. “We will prove that Romania has earned fully the role and position of member-state with full rights of the European Union, we will demonstrate that Romania deserves the respect of the European Community and the status of equal partner in the great European construction, we will prove that Romania is fully prepared to hold its head high with all the other member-states,” Dancila further said. The Romanian Prime Minister assured that the Government in Bucharest is well prepared to manage the important dossiers on the European agenda and to be an impartial mediator that can generate consensus at the European level. “I say to all Romanians and our European partners the same message: dare to believe in Romania, dare to believe in Romania’s capacity to lead with uprightness and honor the Council of the European Union. We haven’t changed our pro-European option and I see no reason to change in the future. On the contrary, we would like to be active part in the major decisions of the Union. We want to be equal partners and respected in the EU and, behold, today Romania sits at the table where the future of the European Union is discussed and decided. (…) Today, the Romanian Presidency of the Council of the Union starts under the logo of cohesion between member-states. Cohesion and unity represent our vision at the helm of the Union. I guarantee you that the ministers of the Government that I am running will manage with full seriousness the vital dossiers for the present and future of the European Union,” Dancila stressed. 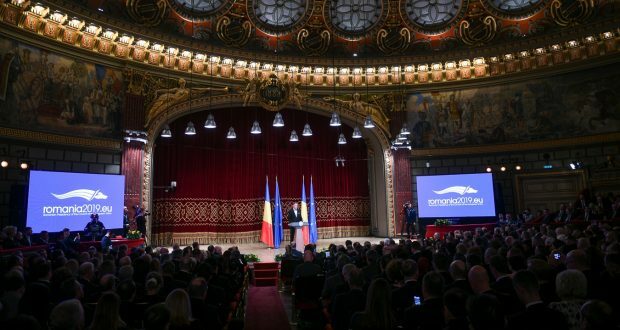 The Prime Minister emphasized that the “democratic system, the economic development and the safety Romania now enjoys are tangible results” of the European path. In his turn, Senate Speaker Calin Popescu Tariceanu stated that if there is a part of the Romanian state, represented by the public administration, the health system, education, work and social services, that has been almost completely Europeanised, there is another “coercive dimension of the state” that is not. It is fair to say that the inclusive dimension of the Romanian state, represented by the public administration, the health system, education, work and social services has been almost completely Europeanised. However, I cannot say the same on the coercive dimension of the state. As a reminiscence of the communist past, some institutions and decision-makers still cling to the power they enjoyed before, Tariceanu said. He argued that these actors replaced the ideology of socialist legality with that of the rule of law, preserving their habits and calling for the same lack of assumption that they enjoyed before 1989. Tariceanu voiced hope that that during the presidency of the Council of the European Union, the authorities of Romania will shed more light into this paradox.